She Sees wants to hear from you! 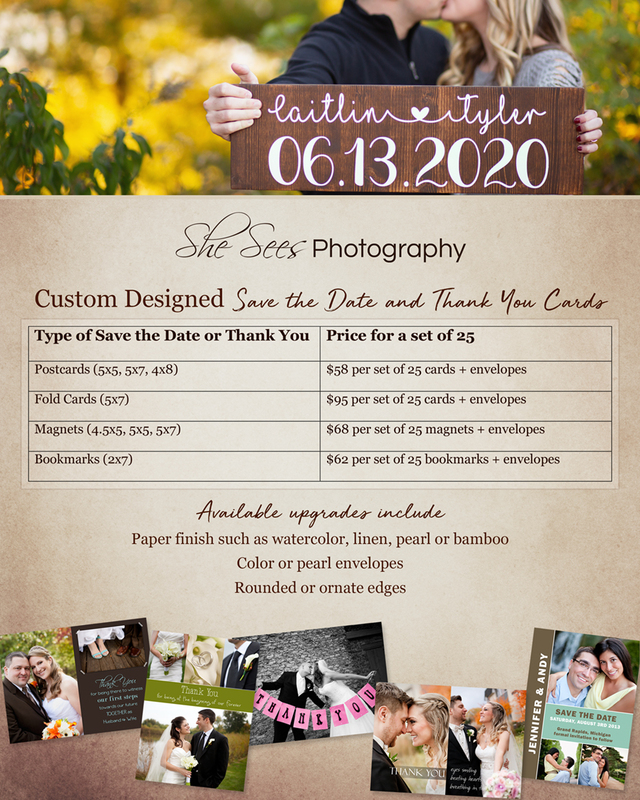 She Sees Photography Wedding Guide 2019-2020. It had been a while since I updated my wedding guide! 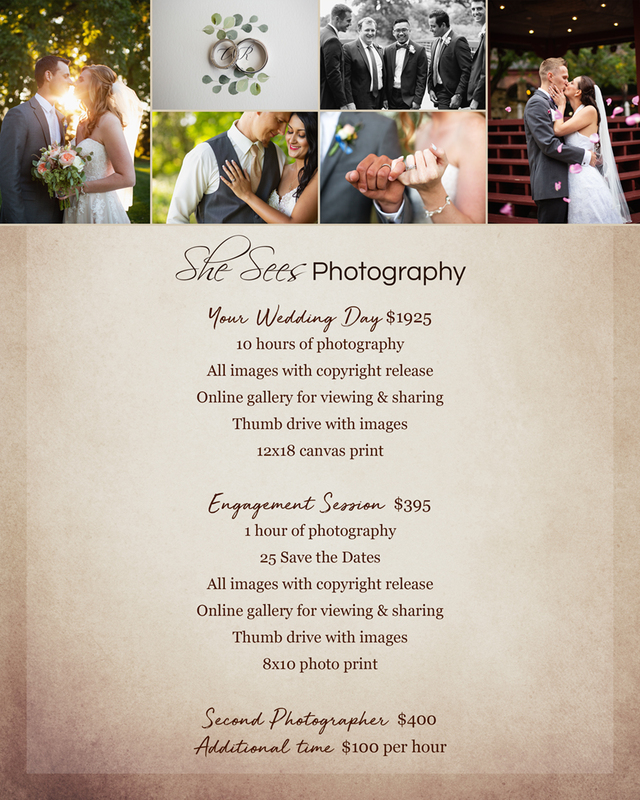 So I am excited to get this pulled together with all the latest and up to date information on wedding photography packages as well as prints, save the dates, thank you cards and wedding albums. I JUST realized what could make this wedding guide complete! I will be adding a fifth page for frequently asked questions!!! 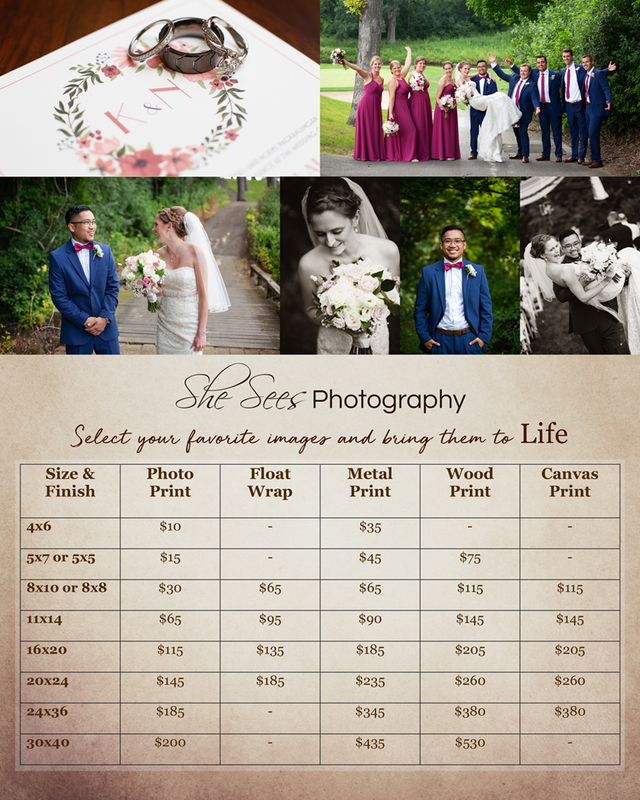 I strive for simplicity and transparency when it comes to pricing and what is included in my wedding day photography. I start with the basics and you are welcome to add on only what is important to YOU. Because EVERY couple is unique, so every WEDDING DAY is different! I am looking forward to the opportunity of documenting YOUR WEDDING DAY MEMORIES!